When starting university, it’s really important to get involved in as much as you can alongside your course. That way, not only do you meet new people and develop your skill-set, but you also might find your true passion. 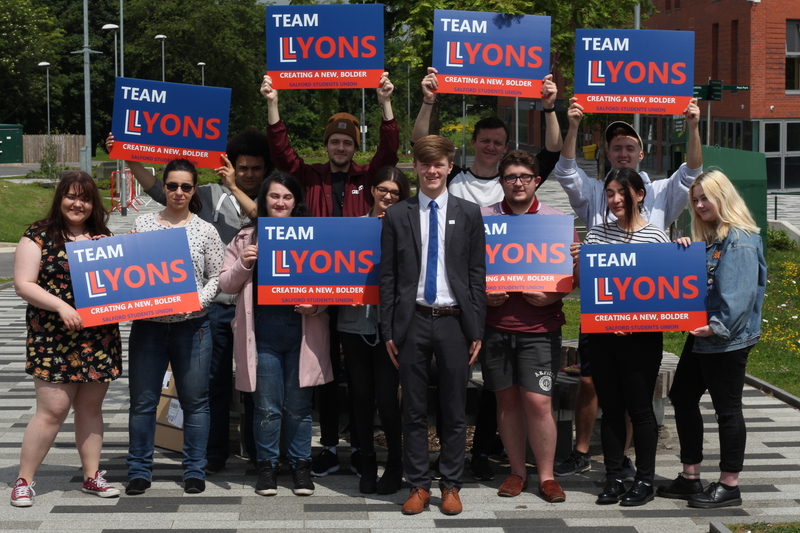 Today I’m speaking to Politics student, Jon-Connor Lyons, about everything he has been involved in since starting at the University at Salford and where it has got him today. Why did you originally choose to study at the University of Salford? 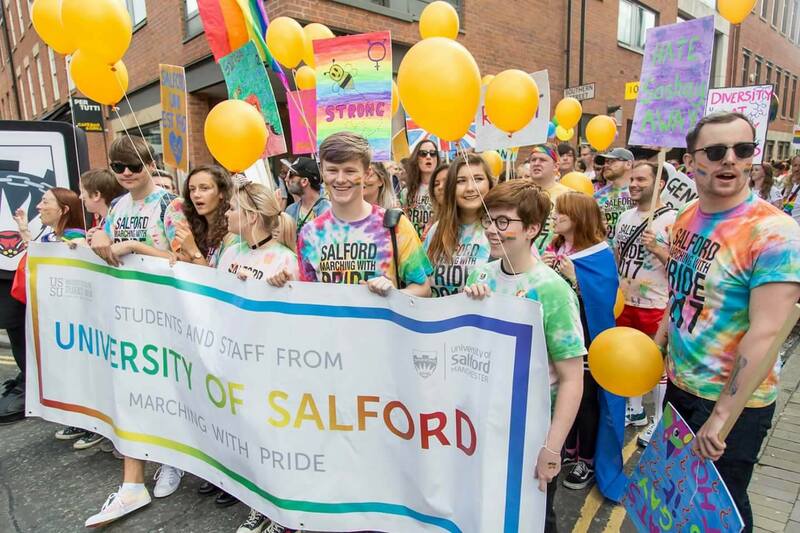 The University of Salford offered me so many different things, like a warm and welcoming community, sports groups and societies, world class academics, green spaces and it was close to home. You are currently a Sabbatical Officer for Arts & Media, and are continuing this role in the next academic year. What made you apply originally? I really wanted to use my time at Salford to make a change and give something back to the campus that had welcomed me in 2015. I decided that through working with students and the University and Students’ Union, I’d be able to make impacting changes to benefit our students through a Sabbatical Officer role whilst encouraging other students to get involved. I wanted the role to be more about being an activist and empowering students rather than a bureaucrat. What achievements are you most proud of during your time in the role? I’m proud of working with the University to implement gender neutral bathrooms, a project that will see a gender neutral bathroom in each building by November 2018. 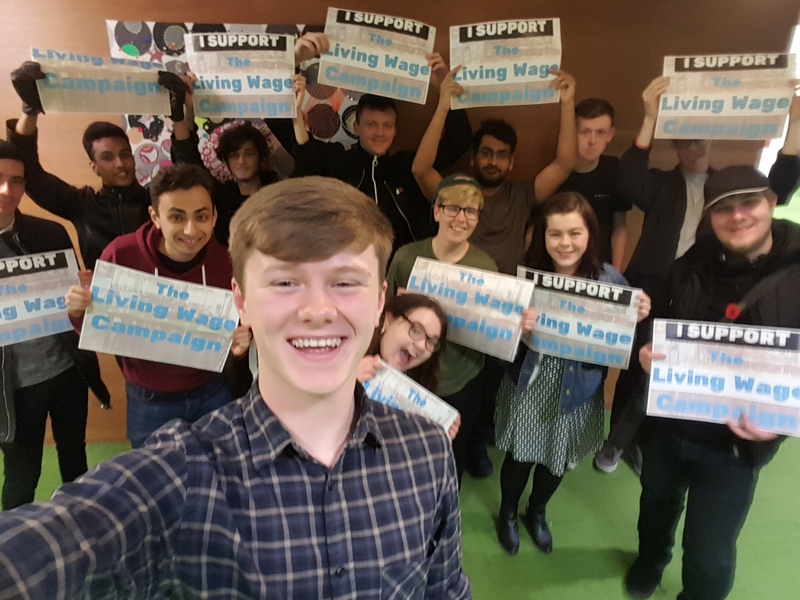 I’m incredibly proud to have led the campaign for the Living Wage to be adopted by the Students’ Union, a proposal which is being taken seriously by the Trustees of the organisation and CEO, and something additionally supported by key University staff members. My focus over the next year will be looking to reform our democratic structures within the Students’ Union, overseeing implementation of the Living Wage within the Union, introducing a Trans Officer position at the University, and leading a campaign on safety and tackling campus period poverty. Would you encourage future students to take up opportunities such as this? I think students do not use their Students’ Union enough in terms of the opportunities it can provide. 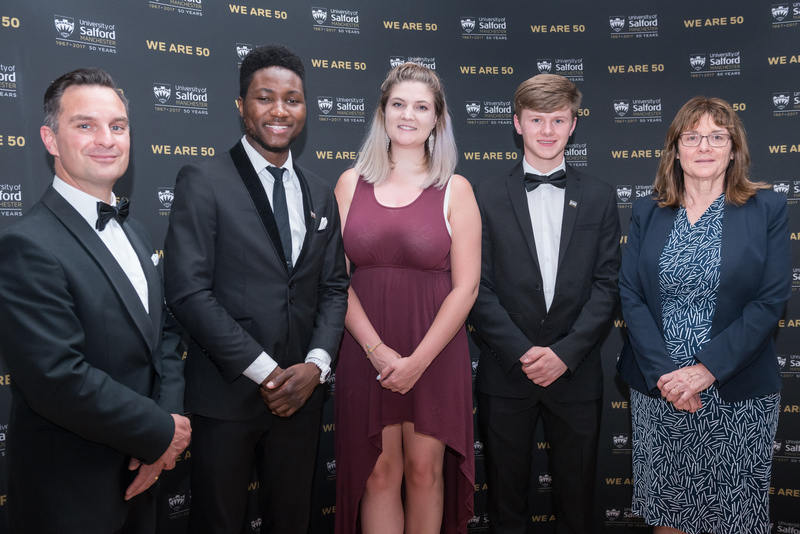 You can make a difference to our university community whilst developing yourself as an individual, so I would definitely encourage people to get involved. 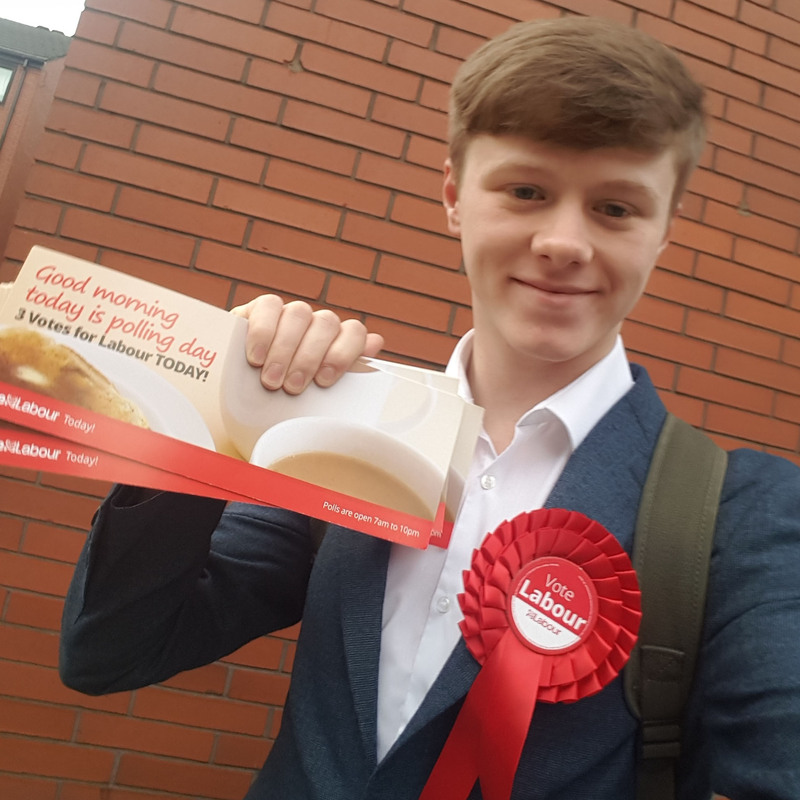 You are the Youngest Labour Councillor for Piccadilly Ward in Manchester. How did you feel when you found out you’d won? I was incredibly excited, but in disbelief and still am! The campaign lasted 8 months, in that time we spoke to hundreds of people and put out 18,000 leaflets and 4,000 addressed letters. I’m proud of the work we put in but the real work has now started which is helping residents in the city centre have an easier way of life. What is your drive for this? Is there anything big you want to change for the benefit of others? I want to see change to so many things, not just locally but nationally. The chain is as strong as the weakest link, and I think this is the same for our society too. We need to put values with an emphasis of caring and understanding at the heart of everything we do. Are you looking forward to finishing your degree? I’m looking forward to finishing the work within my role as a Sabbatical Officer, but also getting stuck back into academia and finishing my dissertation! How do you balance work and life? Any top tips? Being organised is so important and having a calendar or diary is key to keeping on top of things. In my emails, I create tabs or folders for important and reoccurring themes, for example, emails about the Union’s Representative Review and emails about commercial waste; fun I know! How has Salford helped you develop into who you are today? University of Salford and the Students’ Union have given me the opportunities to develop into the person I am now. Without that support and guidance, I don’t think I’d be who I am today. What are your plans for your future after university? I want to deliver for my community and make life easier for Mancunians. I’ll work to do that through whatever avenues are necessary.